Tien-I designed Automatic Center Punch can use more than 5,000 times, 5 time more than other automatic center punch. Automatic Center punch, called tempered glass terminator. It's the quite useful tool with the simple function: mark a pinpoint identification in a hard material such as metal or plastic. Its impact is so strong that mark the dent on the metal plate. 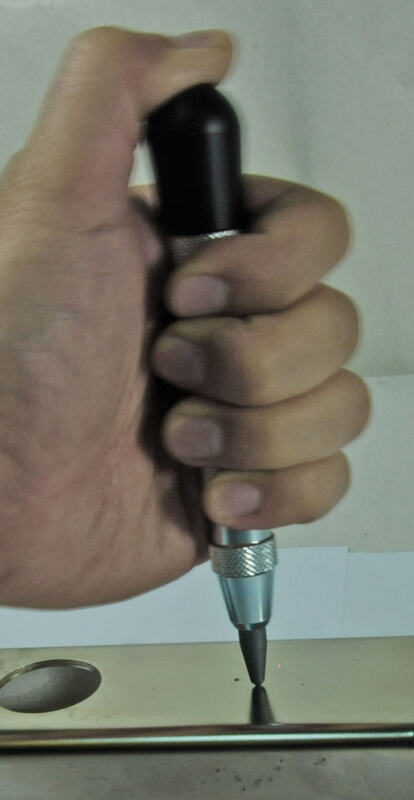 It is like an ordinary center punch without the hammer. 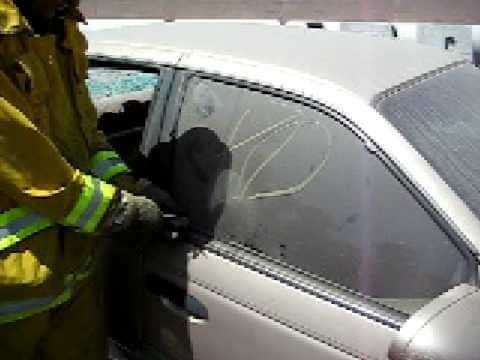 It's said the firemen will carry the center punch for break the tempered glass. It's life savor! 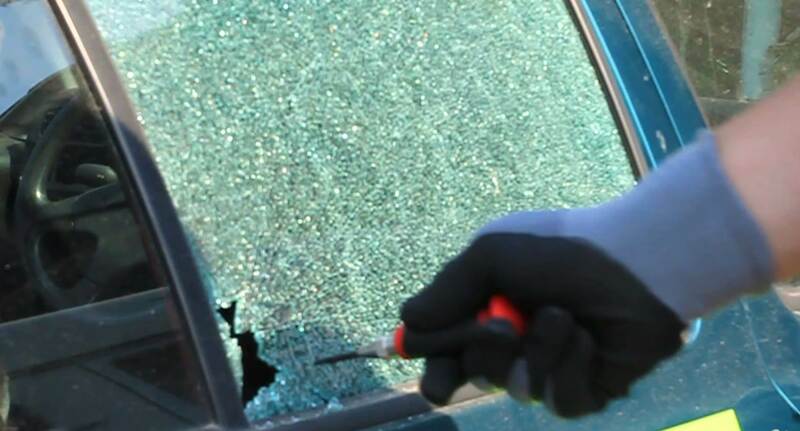 A automatic center punch can break out the strong glass just in a second. 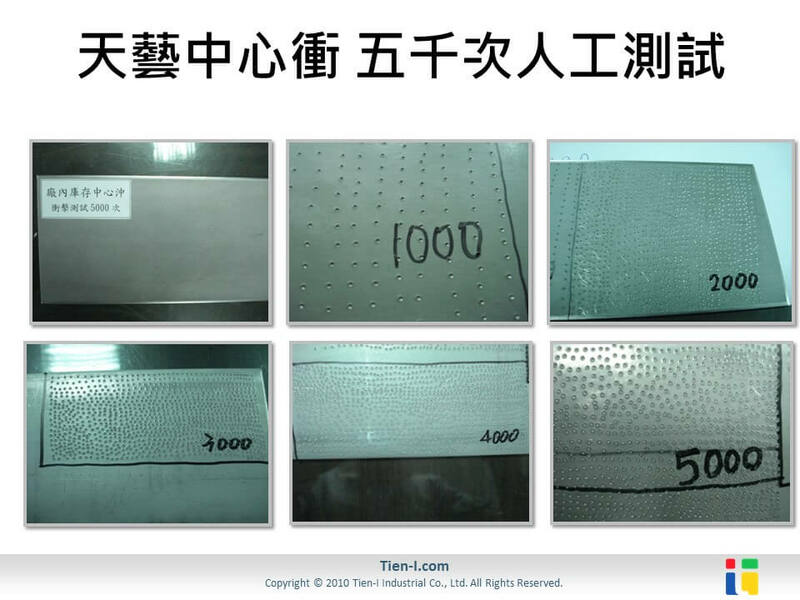 The more rigid material , the greater reaction caused when the punch press down, so the opposite pressure can impact the cracks on the tempered glass. Automatic center punch is developed around 1904 in the United States. The idea is very simple. In the below picture, the red part is the role so-called hammer, and the blue small iron rod is the impact bar which can cumulate and conduct the strength. The green part is so-called punch pin. When the user press down the center punch, the two springs will accumulate the power and release the re-action at once while the springs reach the limit. The moment force is very strong and can even mark the dent on the steel plate. The effect is more obvious upon the harder material. Tien-I team improve the design of the automatic center punch for the professional hand tool market. The impact punch durance is greatly improved due to special heat treatment and material change, so the new Tien-I super automatic center punch can be used over 5,000 times and 5 times multiple than other same products. If you are interested in Tien-I automatic center punch, please contact with Tien-I team.